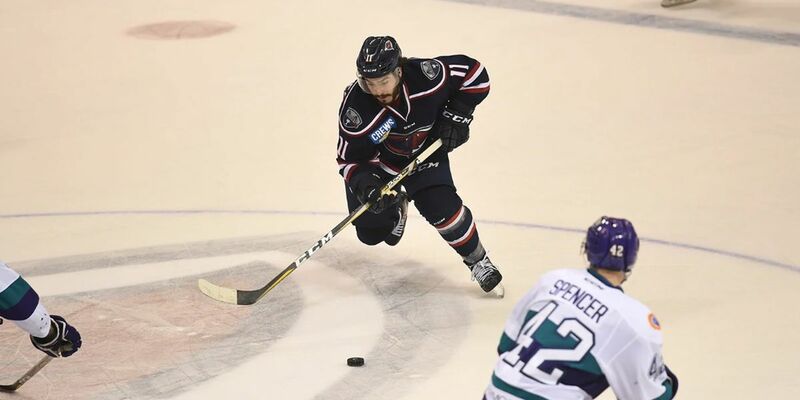 Steve Johnson had a goal in the Stingrays win over Kansas City on Tuesday. Then with just three seconds left in the frame, Andrew Cherniwchan netted his 27th goal of the season from Mason Mitchell and Samuels-Thomas. Samuels-Thomas had the puck and the side of the net and left it out in the slot where Cherniwchan grabbed it and picked out the top left corner of the net with a backhand shot over McDonald’s blocker.